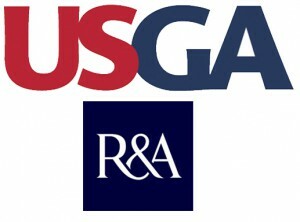 The impact of the decision by the USGA and R&A to make anchored putting strokes contrary to the Rules of Golf has yet to be felt. The PGA of America and the PGA Tour have strongly stated publicly, more than once, they are against the ban and a few members of the PGA Tour have retained legal counsel. One doesn’t have to look very hard to see the storm clouds gathering on the horizon. The battle over the ban will not fade into the sunset as did the last brouhaha when the USGA rolled back the allowable dimensions for iron grooves based on the theory smaller grooves would force long hitters to use less club from the tee to keep the ball out of the rough. Was it any surprise long hitting professionals and top amateurs, weren’t affected? They adapted. Balls with softer covers, sometimes using more lofted irons and oceans of talent negated the effect the USGA was trying to achieve. Club manufacturers played their part by coming up with new groove patterns and making clubs, especially wedges, with rough surfaces between the grooves. Therefore the players bearing the burden of smaller less spin producing grooves were us, average recreational players. The ones with less capability of handling the change and the ones who don’t now and never will hit the ball too far. In the current set to, talent and manufacturing prowess won’t provide solutions. Maybe lots of hard work learning to putt well with a regular length putter is possible but if a player has the yips he might simply give up the game in frustration. At minimum golf would become a lot less fun for the twitch-afflicted. The anchored putting stroke ban is another example of the USGA being late to the party and out of touch with real golfers. That’s the 85% of players who don’t have a USGA handicap, only a general sense of the Rules of Golf and aren’t overly concerned about following them. Every side of the controversy agrees there is no data to show bellies and broomsticks are intrinsically better than regular length putters. So assuming that is true, the USGA and R&A put the banned anchored strokes, and this pure supposition on my part, because anchored putting doesn’t look good or as elegant or traditional. Bottom line, this is a heck of way to run a railroad. It only serves to push the average golfer, those who play for fun and the love of the game, further away from the USGA making them even less relevant to the overwhelming majority of players. We need the USGA to encourage players to play not make pronouncements causing divisiveness and pushing people out.